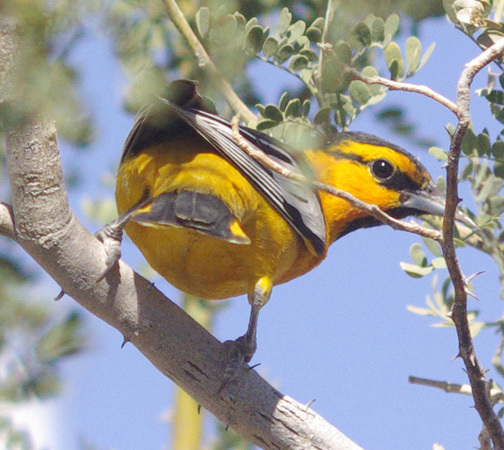 Male bullock's oriole is seen only for short periods when passing through Ajo in the spring. 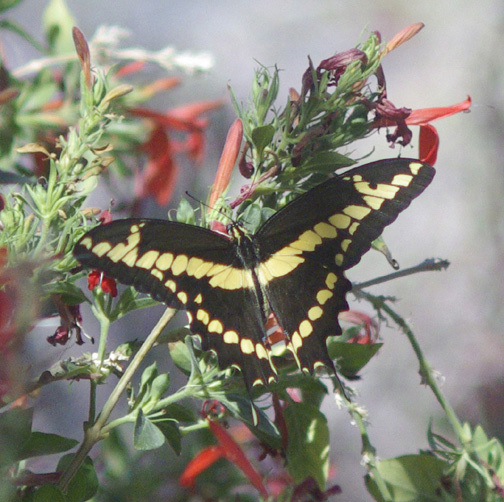 Giant swallowtail butterfly is rarely seen in Ajo. 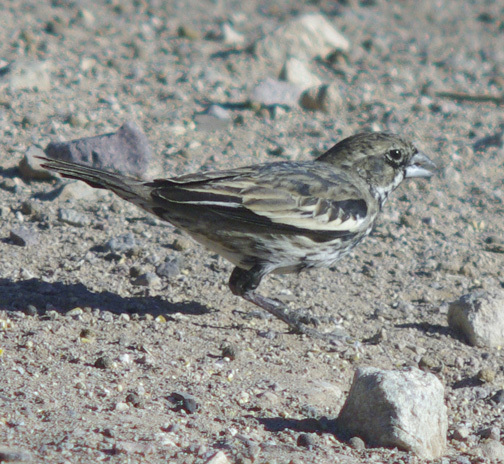 Lark bunting is seen in Ajo only in the spring when passing through. 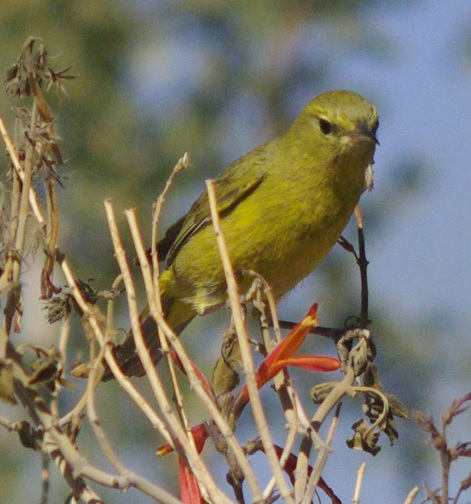 Orange crowned warbler is not unusual in Ajo but fairly uncommon. 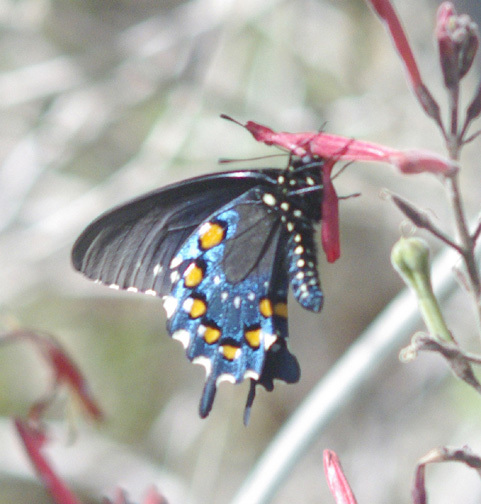 Pipevine swallowtail is not unusual in Ajo but uncommon. Larvae feed on pipevine plants. 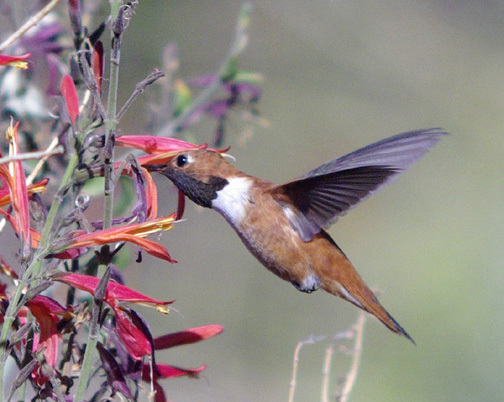 Male rufous hummingbird is seen in Ajo for only a short time when passing through (spring or fall). 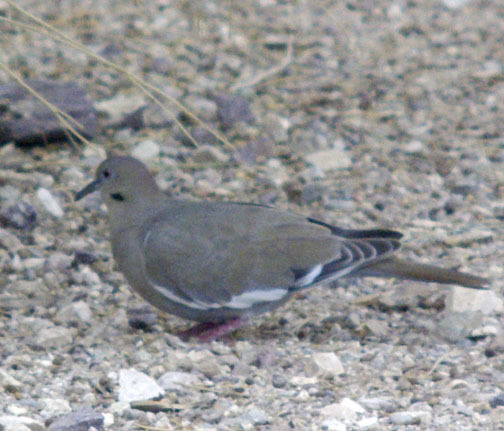 White winged doves are common in the spring, but this one was seen in February which is extremely unusual for Ajo. A battle between a Giant desert centipede and a Western whiptail lizard. A prickly pear cactus in a hemiparasitic relationship with a Saguaro. 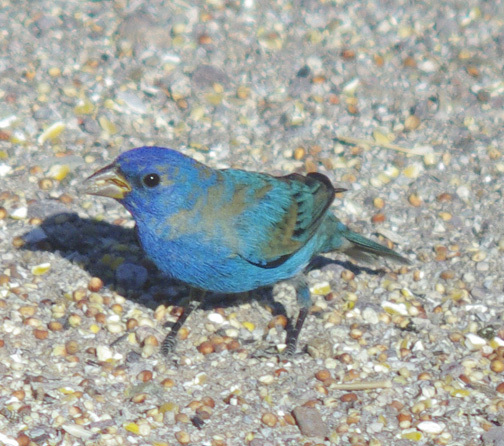 Take-offs and landings aren't rare, but getting a good stop action photo is rare.